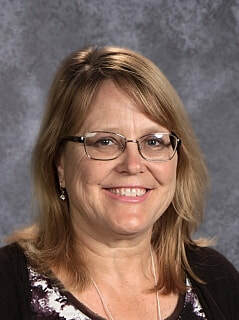 About Ms. Morschen: I enjoy reading and cooking, I love to make crafts, like knitting, sewing, and lots of different kinds of art projects, (pinterest is my friend) I also like to go biking and camping with my family. Favorite Thing About Zion: My favorite thing about Zion is that it is a place for families, to belong, work together and to grow together. I love to see the families support each other and help out whenever and where ever. I see it in the way our students and young people interact with each other, they watch out for the young ones and help the older congregation members with setting up, taking down and pitch in with all the jobs at the big events like soup and pie. I love how the congregation supports the education of our youngest members and how, when there is a big job to do, everyone just shows up. This is a place where families, young and old, can truly "belong" as member﻿s of the family of Christ.